Superior Capsular Reconstruction addresses massive irreparable rotator cuff tears by reducing superior humeral translation and anatomically replacing the superior capsule to improve shoulder kinematics. 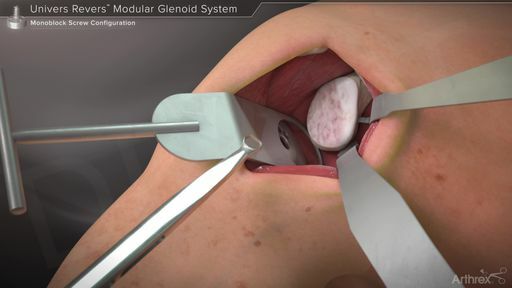 Independent knotless, tensionable mattress sutures are placed on the glenoid and the humeral SpeedBridge™ technique is used to fixate an ArthroFLEX®* dermal allograft, which spans from the superior glenoid to the humeral tuberosity. 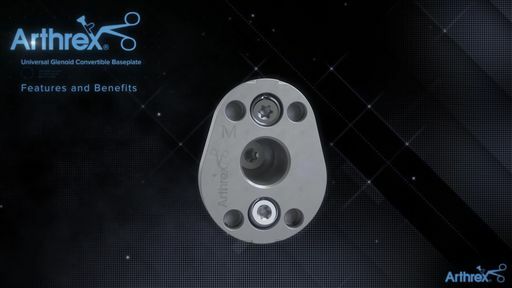 This animation provides an overview of the Univers Revers™ Modular Glenoid System surgical technique for a baseplate with a monoblock screw configuration. 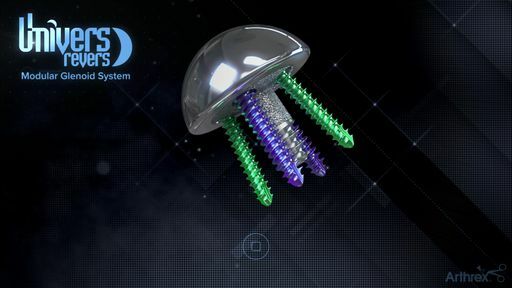 This animation highlights the features and benefits of the Univers Revers™ Modular Glenoid System. 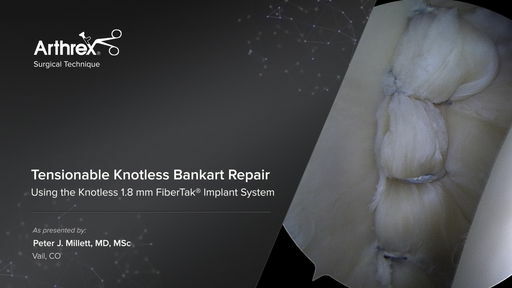 Peter J. Millett, MD, MSc, (Vail, CO) performs a cadaveric demonstration of a knotless Bankart repair with the Knotless 1.8 mm FiberTak® suture anchors. 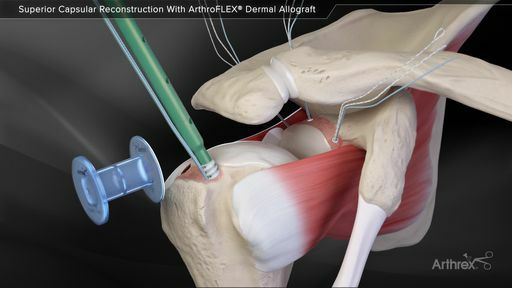 Dr. Millett demonstrates how to use the unique adjustability of this knotless suture anchor to achieve an anatomically tensioned soft tissue glenohumeral repair.